All too often the rights, traditions, and freedoms of North America’s hunters are taken for granted. While so many are hunting deer in those forested patches of hardwoods, flushing up pheasant in a rural field, or searching out mink sign in a creek bank, the focus on what politicians and lawmakers are scheming rarely comes to mind. Honestly, when was the last time you really sat down and contemplated a land where your ability to hunt, trap, fish, run hounds, or just “be” a part of the wild was suddenly gone? When was the last time you testified at a restrictive legislative hearing, emailed a House representative, or inquired with your local hunting group on the status of a proposed law? The reality is that decisions on the direction of regulated hunting activities are being increasingly dominated by those with a hands-off approach to conservation. Attacks on hunting culture have reached an all time high in the 21st century, and if the conservation community isn’t watchful and communicating, the cornerstones of these activities will continue to degrade and be worn down from the sentiment of non-hunting erosion. If you take part in these outdoor pursuits, and are legitimately passionate about these activities, its imperative that you start paying attention if you aren’t already. Hey, feel free to write me off as a paranoid rabble rouser - but before you do, take a look at the list of hunting restrictions sweeping across America as we speak. New York Senator Monica Martinez (D) and Assembly member Deborah J. Glick (D) have introduced almost identical legislation. 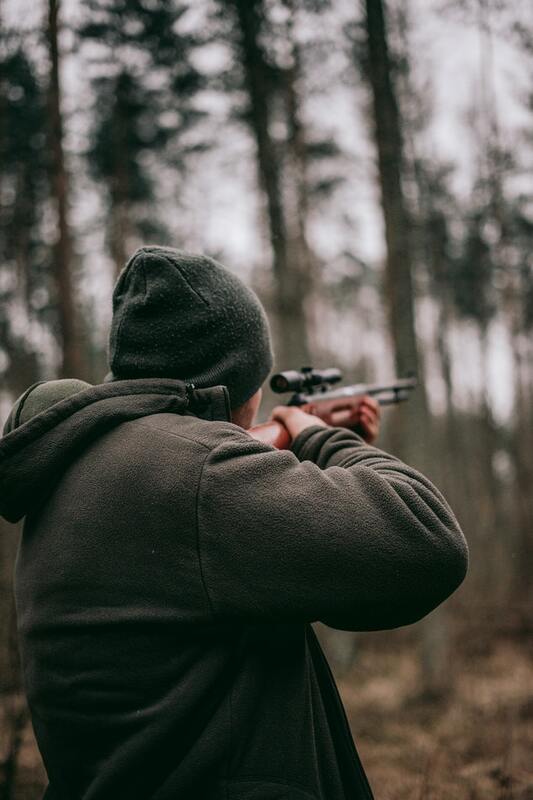 Martinez’s Senate Bill 4253 and Glick’s AB 722 would ban any sort of hunting contest, including field trials and hunt tests for waterfowl and upland bird dogs. Tennessee Rep. John Crawford (R) and Sen. John Lundberg (R) have both introduced legislation that would authorize municipalities to regulate the use of baited traps within their jurisdictions. Spitting in the eye of the state’s wildlife management agency. House Bill 231 and Senate Bill 232 will be heard next week in their respective committees. New Jersey Senator Nilsa Cruz-Perez (D-Camden) has introduced Senate Bill 3541, which would ban all hunting contests, such as organized coyote hunting, and even field trials. Senator Vin Gopal has also introduced a bill that would prohibit anyone under age 18 from receiving a trapping license - he also compares young licensed trappers to the Columbine Shooters. All of this coming as New Jersey Governor Phil Murphy signed an executive order effectively ending the state’s planned bear hunt on all public lands months ago. It was an attempt to fulfill a campaign pledge Murphy allegedly made to environmental activists prior to election. In Connecticut, a few lawmakers apparently have it out for the state’s hunting and trapping community. According to the state’s legislative website, House Bills 6014 and 6013 seek to put an end to regulated trapping activities, and stop the “expansion” of hunting activities. Both bills were put forth by Rep Kupchick (R-132), Rep Camillo (R-151), Rep Michel (D-146), and Senator Duff (D-25). You can read our full report on both bills here. Oregon Senate Bill 723 would have banned all hunting contests or competitions, even bird dog field trials. It wasn’t until sportsmen voiced opposition that the bill was scaled back to focus entirely on coyotes. The bill remains in the Senate Judiciary Committee. New Mexico Senate Bill 76 would ban coyote contests, or any competition associated with coyotes. It has already passed the New Mexico Senate, and is awaiting a vote before the full House. New Mexico Rep. Matthew McQueen (D-Santa Fe) has also introduced House Bill 366 in the state, which bans the use of traps, including snares, conibear and foot-hold traps, on public land. Wisconsin Senate Bill 30, as introduced, will ban any type of hunting contest in the state, impacting nearly every field trial and local big-buck deer hunting contest. Montana Senate Bill 186 would have made it illegal for anyone to participate in a contest in which coyotes, foxes or wolves were killed. This bill failed to pass committee thanks to sportsmen in the state voicing their opposition. Montana Sen. Mike Phillips (D-Bozeman) also introduced Senate Bill 185, which seeks to ban hunting and trapping of wolves in the management zones near Yellowstone National Park. Florida Senator Linda Stewart (D-Orlando) has introduced Senate Resolution 988, which calls upon the Florida Fish and Wildlife Conservation Commission to place black bears on the state’s endangered species list. This legislation comes as human/bear conflicts continue to rise in the state. The population is healthy enough that state biologists now support a bear hunting season to manage the growth. Nebraska Senator Ernie Chambers (NP-Omaha) introduced Legislative Bill 46, which would prevent mountain lions from being hunted in the state. New Hampshire Senator Jeb Bradley (R-Wolfeboro) introduced Senate Bill 161, which reclassifies large breeders as “pet vendors.” This new definition will encompass many more people than current law, and will force them to buy a license and submit to inspections, even if they are not breeding animals for profit. Many sporting dog kennels could easily fall under the licensing and inspection requirements for multiple reasons. NH House Rep. Ellen Read (D-Newmarket) has also introduced legislation to close the current open coyote hunting season in the state. The state’s Fish and Game agency has testified in opposition of HB442. You can read our full report on HB442 here. Vermont legislators introduced H.357, which would define wanton waste of wildlife as "intentionally leaving wounded or killed game, fur bearing species, wild birds, or other wildlife in the field or forest without making a reasonable effort to retrieve and consume" them. Seems reasonable at first glance, but who decides what is considered "reasonable"? It certainly won't be the hunter who is actually on the ground. The state’s Fish and Wildlife agency has testified that this legislation is not warranted. Sportsmen/women in Maryland, Pennsylvania, and Massachusetts are all trying to claw their way to the top of the political “food chain” just trying to get the legal ability to hunt on Sundays in their respective states. Nationally, a tug-o-war in the court systems and legislative halls is being waged over the regulated management of wolves, cougars, grizzly bears and lynx, as many of these species remain under Endangered Species protections despite target population goals met, and in many cases now exceeding carrying capacity. Keep in mind this list is just from the current legislative session and doesn’t include all the other recent attacks on our regulated outdoor ways of life. It also doesn’t include those to come. There’s probably a bunch of bills from coast to coast that I’m missing. Mind you, there’s a pattern with all of this restrictive legislation - none of it came from the professionals at each state’s wildlife management agency. Instead, these restrictions (mostly frivolous) came from politicians who (in most cases) think they’re doing the “right thing” for wildlife, whilst kicking the hunting community, conservation and their paid biologists right square in the teeth. If you think its all limited to traps, hounds, and predatory species - think again. Its all taking place as a national “R3 movement” to retain and preserve the future of hunting culture is casting a net across the country. I don’t need to get on a long soapbox here - its a proven fact that regulated hunting & trapping aids conservation efforts nationwide. The same can’t be said for political grandstanding. Sad once more is the fact that most of the legislation above is fueled by national anti-hunting groups that are both well funded and well established. Support the orgs that support you! Almost all of the examples of legislation listed above, and the background on their status, came from one source - The Sportsmen’s Alliance. According to their website, the Sportsmen’s Alliance organization formed in 1977 after Ohio Ballot Issue 2 threatened Ohio’s trapping community. After leading the fight to successfully defeat that bill, U.S. Sportsmen’s Alliance was officially incorporated in 1978. There are countless organizations across America with national ties seeking to demolish our hunting culture as we know it today. For example, in 2014, Maine’s conservationists and wildlife agents found themselves in a square-dance with well-funded national animal and environmental protectionist groups. Question 1, known infamously as the “Maine Bear Referendum” placed heavy restrictions on the state’s bear hunting protocols. The state’s sportsmen/women were out matched financially by the nationally funded Humane Society of the United States. Maine narrowly defeated the referendum. My point is while there are many organizations traveling state to state to restrict all forms of hunting, there are few organizations who’ll travel nationally to defend hunting & trapping when individual states find themselves in a David & Goliath standoff. Stand united. Take the Pledge! The Sportsmen’s Alliance answers the call to advocate. They’ve also proven themselves a true ally to our mission and vision here at Furbearer Conservation, so I figured now was a good time as any to stand behind the organization as they rolled our their new campaign “The Pledge to Protect Hunting”. You can read the Sportsmen’s Alliance’s full report on the pledge here. The fact is that regardless of your individual outdoor pursuit interests, most of today’s regulated hunting activities serve a purpose to conservation of our wildlife and wild places. As a hunter who quickly became immersed in trapping, it wasn’t until I became a vocal advocate for wildlife management that I began to seek out and understand the concepts of hound hunting, hunting over bait, or predator hunting contests. The reality is that while I don’t take part in these activities, after an education on their relevance I understood a need to stand by those who engage in them. Being an outspoken trapper - I know all too well about the tricks and slight of hand verbiage utilized by anti-hunting groups, as well as the divide that can sometimes lie within the broader hunting community. I’ve said it before - government goes to those who show up. As a self-proclaimed “sustainable-use conservationist”, I see it as my civic duty to advocate for the hunting culture base when the need presents itself. For the millions of hunters out there, the time has come to get active if we are to see these cherished traditions and proper implementation of conservation technique continue for future generations to enjoy. (Fair weather sportsmen/women need not apply.) I signed. What about you? Get active. Speak up. Advocate. Sign the Pledge.